Guys, I just had one of those days where you can hardly do anything but read. 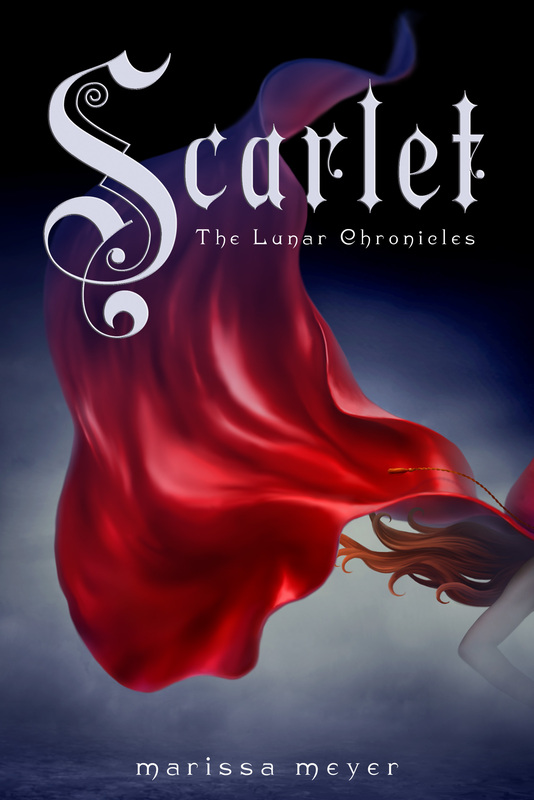 Yesterday, I finished the second book in the Lunar Chronicles series, Scarlet. I had to finish it so I could move on with my life. I laughed. I gasped. I sighed. I wanted to scream. I wanted to cry. I couldn’t turn the pages fast enough! Scarlet lives up to my expectations and surpasses them. Scarlet follows the story of Scarlet Benoit, a teenage girl who lives and works a farm with her grandmother in a small village in France. The story opens with her grandmother’s disappearance and Scarlet’s determination to find her grandmother at any cost. She meets Wolf, a handsome and mysterious street fighter that is more knowledgeable and more complicated than he initially appears. Together, they travel to Paris in search of Scarlet’s grandmother and the truth behind her disappearance. Meanwhile, we continue to follow Cinder’s story as she escapes from prison and goes on a journey of her own to find a woman that can give her more clues to her past and role as Princess Selene. And we get a bit of Prince Kai’s story as he attempts to keep peace with the notorious Queen Levena of Luna. One element of the novel that definitely kept me reading was the multiple story lines. Chapters often skipped back and forth between Scarlet, Cinder, and Prince Kai. We gradually learn more and more about each of their stories and eventually those stories begin to collide. It’s an exciting way to write a novel because I kept starting the next chapter in anticipation of what would happen to Scarlet only to find it was about Cinder. Then I would continue because I hoped to learn more about Cinder. Quickly, I was at the point when I had to finish the book. I love when a book gets me excited and the plot draws me in so completely. Again, Meyer cleverly incorporates fairy tales into her novel. The way she includes elements and characters from Little Red Riding Hood is so unique and compelling. I love the quotes from the original story in between the sections of the novel. I love that Scarlet wears a red sweatshirt with a hood. I love that she lives on a farm with her grandma and she delivers vegetables (similar to the original story and the treats). And I also love the ways Meyer deviates from the original story. I love that Cinder’s story is immediately connected to Scarlet’s. The dystopian French setting gives a better sense of life in other parts of Meyer’s world and how news affects different places. I wish we got to know Scarlet’s grandmother better. I find her kidnap and Scarlet’s search for her to be exciting and intense. We want to know what happened to her so we keep reading. One of my favorite characters of this novel was Wolf. I love that his nickname is Wolf. It’s a clever way to incorporate the original fairy tale. He is so fascinating as a character–constantly changing his behavior and mood. I sighed with pleasure when he and Scarlet kiss only to have my jaw drop when we learn his true background. One of his most compelling characteristics is his inner struggle between the pack and Scarlet. He is complex and his imperfections make him redeemable as a character. I look forward to learning more about him in future books. My only qualm with this novel was the genetically mutated wolves massacring Earthens. I didn’t have a problem with the fact that they were genetically mutated. I just didn’t like the violent and unprovoked attacks on people. I could have done with less of that. I skipped over the more specific descriptions of the massacre. And I think the intensity of the violence really hinders my ability to see Queen Levana in a sympathetic light at all. That was just evil. I’m eagerly heading to the library today to pick up the next book! And November can’t come fast enough! I wasn’t a big fan of the massacrings either, it went on a little too long for my taste. Nice review and hope you enjoy Cress. Thank you! Really excited for Cress! Thank you! It totally makes me keep reading too. Definitely one of those books that keeps you reading late into the night 🙂 I hope you get to it soon and let me know what you think!